For the third time in recent years students from a renowned American university school of architecture have come to Bath to learn their trade and come up with their own ideas for improving the fabric of our World Heritage city. They are graduate first year students from the University of Notre Dame in South Bend, Indiana and attend the only school of architecture in the States which concentrates on classical and traditional architecture. Bath is an obvious attraction and ticks all the boxes in terms of scale, sustainable planning, balance between public and private spaces, consistency and being easy to get around on foot! Opening up a riverside presence! In past years other students from the University have come up with hypothetical schemes for the Western Riverside and the Kingsmead/Green Park Station area, but this year they have looked at improving things on the river-facing side of Manvers Street. It is of course all hypothetical but the students still tackled issues that will have to be addressed for real at some point. It is possible buildings like the Police Station and Post Office complex will be relocated elsewhere at some point in the future. This will open up areas for re-development. The car park in front of St John’s hidden by a landscaped park. The students from Notre Dame showed how this was a ‘perfect site to address the river issue and engage more with it’ and saw riverside walks and the creation of a clear edge to the Avon with terraced houses, hotels and cafes. They wanted to create a ‘necklace of public spaces’ leading from the rail station through the riverside area and into the city. They pointed out that St John’s Roman Catholic Church looked out on a sunken car park and suggested a simple solution. 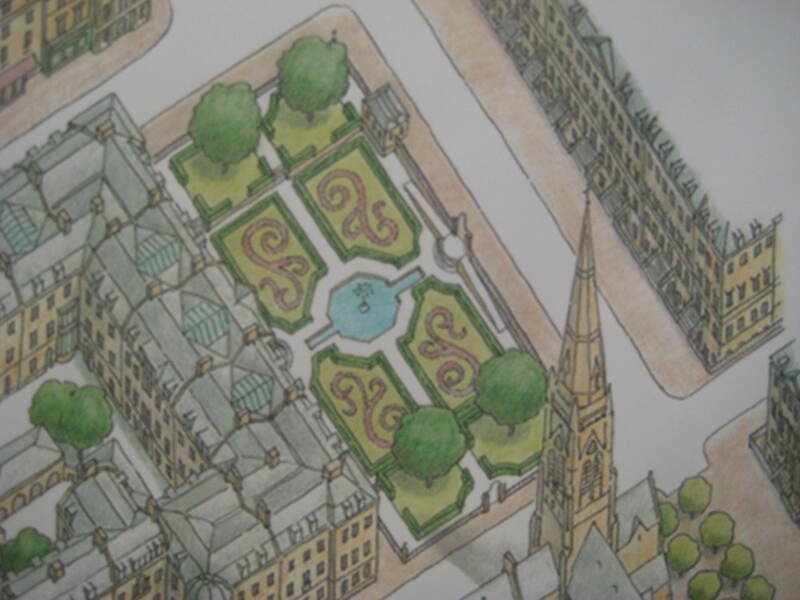 Keep the car park but turn the top into a landscaped park. An ornate gateway leads from Bath Spa station into the new scheme. They suggested an ornate gateway to the new development at roughly the same point a pedestrian footbridge originally took rail passengers across the road from the station directly into the Royal Hotel. There was even room for creating a new Civic Hall. Hopefully l wasn’t the only person taking notes. 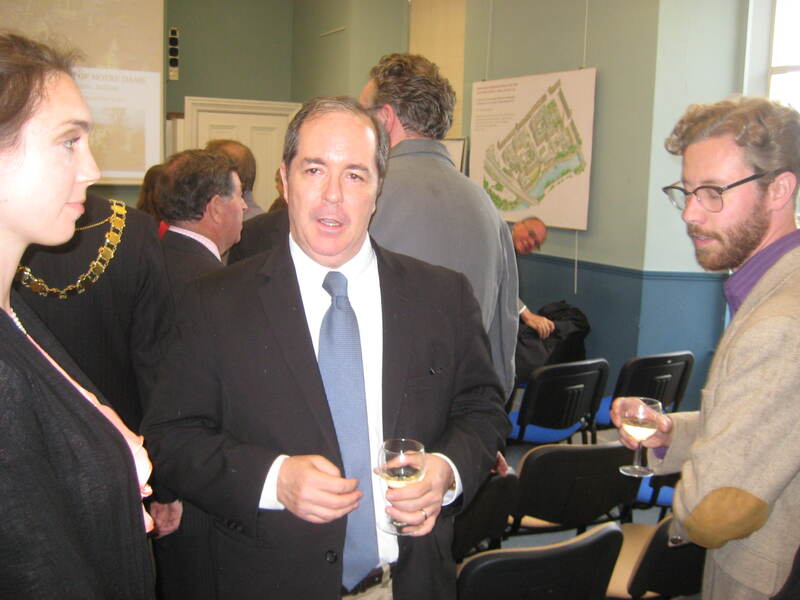 Amongst the guests – as the leader of B&NES Cllr Paul Crossley pointed out – were representatives from Bath Preservation Trust and Bath Heritage Watchdog. 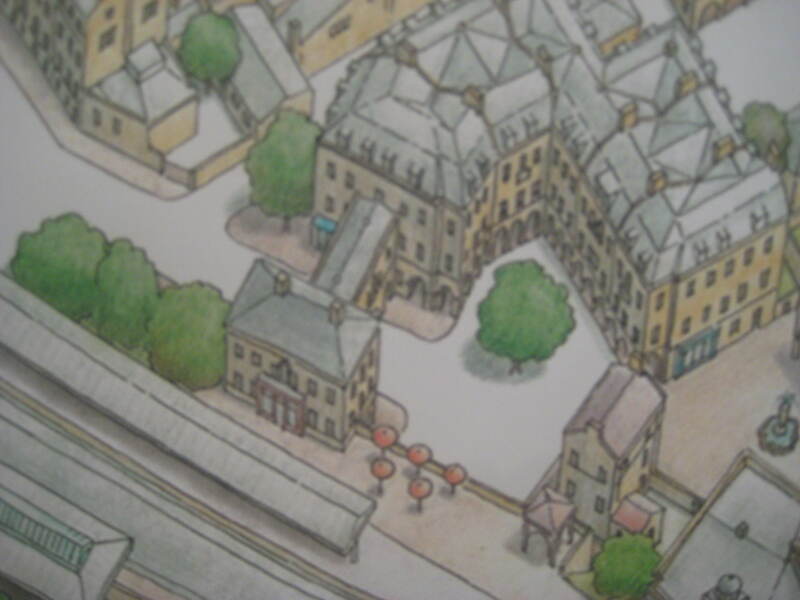 However l would like to think those who officially help shape Bath’s planning future might also take on board suggestions from a group of talented visiting youngsters who seem to be able to come up with ideas for the future that still have a worthy classical edge. 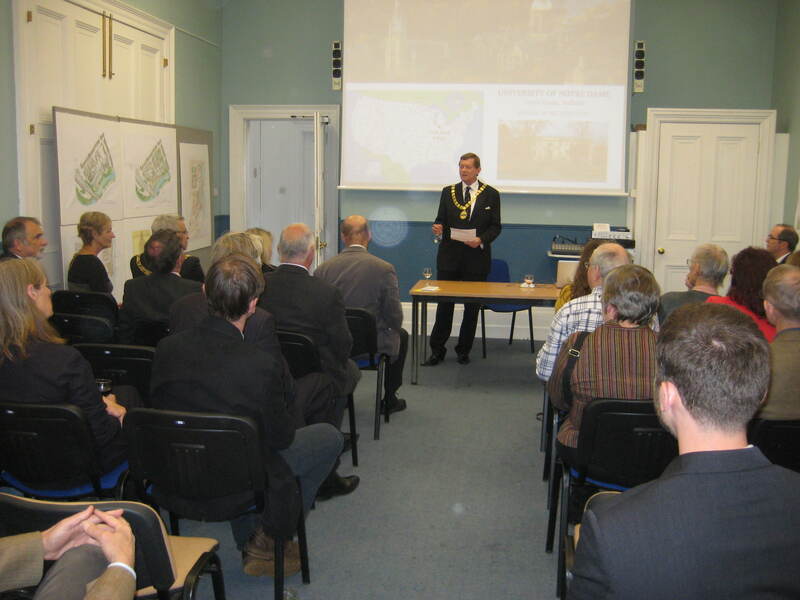 The Chairman of B&NES Cllr Neil Butters addressing the presentation. It was good to see curves and circles and squares – instead of the straight sided blocks that are going up in this city for real! The Virtual Museum of Bath wants to see more exploring and much more active public debate.